Peep through the beautifully laser-cut pages and see the classic fairy tale tale magically brought to life. 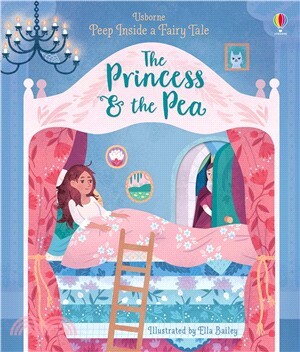 Watch as the crowds of unsuitable princesses go by, the palace is explored and the tower of mattresses is built. Brightly illustrated with beautiful patterned detail by Ella Bailey.